The sessions below are categorized. You can click on the topic to view the detailed description of each session. 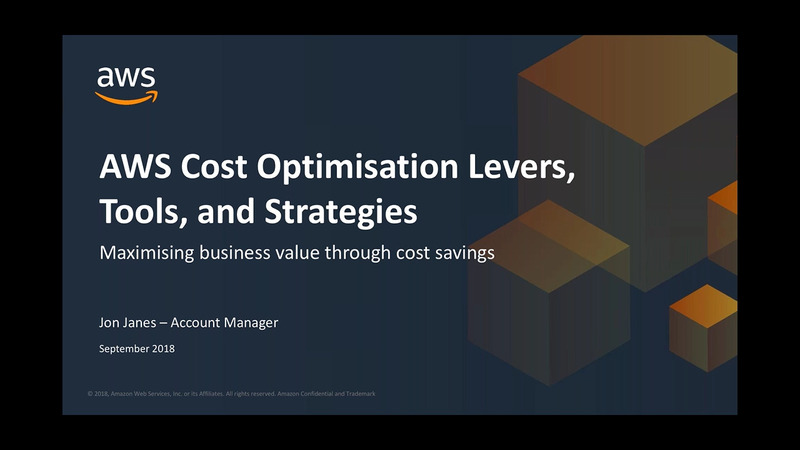 Join us at our upcoming Cost Optimisation Best Practices webinar to learn how AWS can help you realise value and save costs using the many tools and best practice methods available to you. This webinar will consist of information to assist with establishing cost visibility, demonstrating optimisation levers and tools, providing strategic optimisation mechanisms, and showing you different avenues of support. Joining us at this webinar will be veteran of AWS Cost and Security specialist, Paul Wakeford, who will be representing Fairfax Media and sharing their story. Amazon EC2 Spot instances allow you to bid on spare Amazon EC2 computing capacity, saving up to 90% over On-Demand EC2 pricing. In this session, we’ll dive deep into how Amazon EC2 Spot instances allow you to run and scale variety of workloads including containerized environments and applications such as stateless web services, image rendering, big data analytics, CI/CD pipelines, and massively parallel computations, for a fraction of the cost. 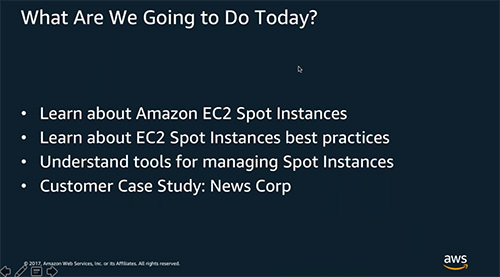 This webinar will help architects, engineers, and developers from organizations of all sizes understand when and how to run your environment on EC2 Spot Instances. 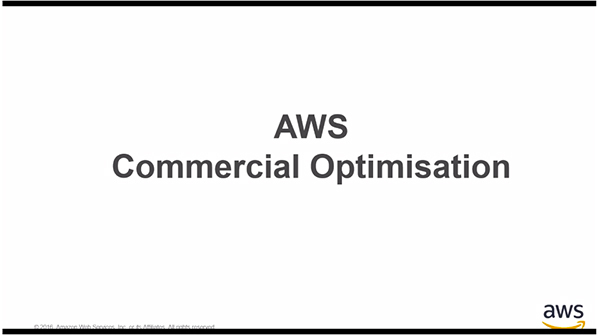 Join this live webinar session as we share the best practices and considerations for cost optimising your AWS environment. We will cover best practices for right sizing, scheduling instances to reduce costs, and finally, how you can save up to 75% on OnDemand costs using reserved instances. Also joining this session will be Katerina Martianova from REA Group and Angela Durdin from Technology One. Katerina will be sharing key insights on how she has managed the financial decision-making process for reserved instances within REA Group. Angela will be running through how Technology One has created innovative internal tools which have been used to cost optimise their environment. 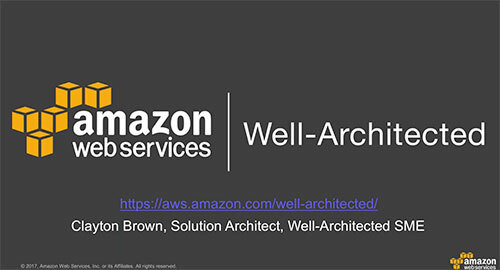 The AWS Well-Architected Framework enables customers to understand best practices around security, reliability, performance, cost optimization and operational excellence when building systems on AWS. 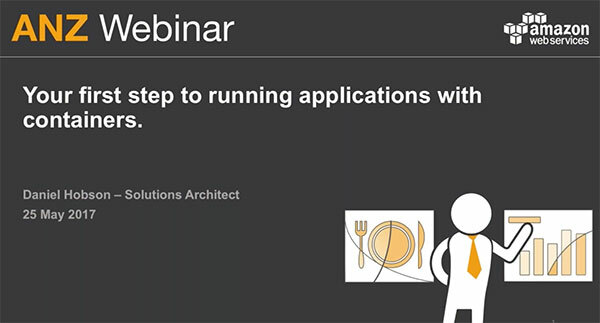 This approach helps customers make informed decisions and weigh the pros and cons of application design patterns for the cloud. In this one hour webinar, you'll learn how to use the Well- Architected Framework to follow AWS guidelines and best practices for your architecture on AWS. 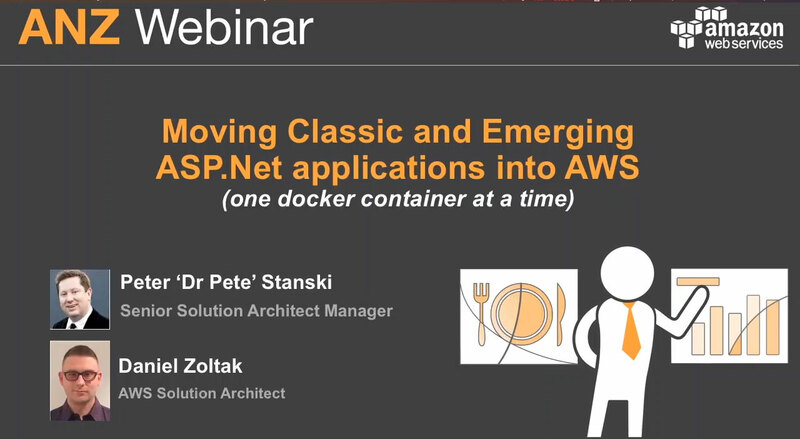 Join this live webinar and learn how to deploy Active Directory (AD) on AWS to support workloads and AWS applications and services. Customers have multiple options to deploy AD and optionally connect it with existing AD infrastructure to support cloud workloads such as EC2, RDS, and AWS Enterprise Applications. Should you use your existing on-premises directory, or configure AD on EC2 instances, or use the AWS managed solution AWS Directory Service for Microsoft Active Directory (Enterprise Edition)? In this session as we discuss the key deployment considerations for each option and help you identify which best meets your project goals, and the effort involved. The session will also cover options for integrating with your on-premises directory, port and security considerations, application considerations, and best practices. 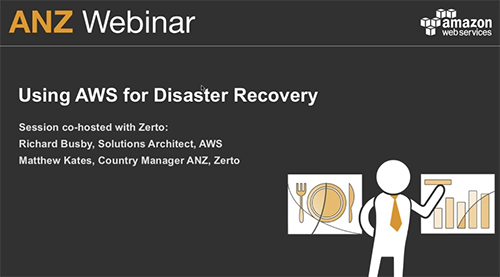 Attend this informative webinar, which will highlight AWS services and features that you can leverage for your DR processes to significantly minimise the impact on your data, your system, and your overall business operations in an event of a disaster. With AWS, your company can scale up its infrastructure on an as-needed, pay-as-you-go basis, giving you the flexibility to quickly change and optimise resources during a DR event. Delivered by AWS solution architects and co-presented with Zerto, we’ll show you how you can reduce cost and ensure business continuity and leverage the full potential of the AWS Cloud for DR. This is an introductory session (Level 100) in which you will also have the opportunity to ask your most pertinent questions with subject matters experts on-hand. 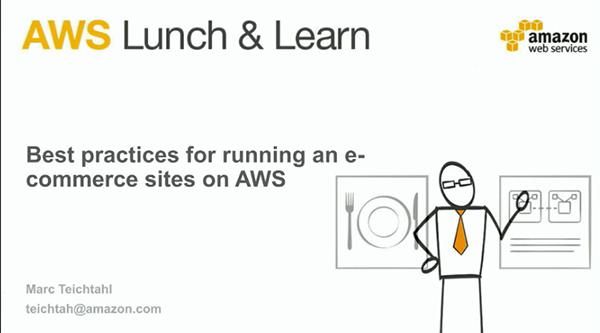 For a Level 201 course outline, you may want to attend the July lunch and learn series, which focuses on the same topic for intermediate users. Microsoft is making investments in open source technologies and is pivoting existing platforms to be cloud ready. This requires retooling and reinvesting in existing skills. In this session we will demonstrate how you can leverage your existing skills, adopt emerging Microsoft technologies and see how easy you can cloud enable your traditional and large scale web applications on AWS. This webinar has ended, please view the recorded video. Whether the plan is to go ‘All In' on AWS, or to utilise AWS for its broad range of services or for additional capacity, A number of AWS customers tend to adopt a Hybrid operating mode for at least a period of time. In this session you will learn some of the connectivity options AWS recommends for extending in to the cloud through VPN and Direct Connect (DX). You will learn how to quickly and easily extend the management of your on premises data centre into the Cloud and provide a capability to manage your AWS resources utilising your existing tools such as VMware vCenter and Microsoft System Centre. We will also explore options for migrating your workloads to AWS and back again using native AWS tools as well as third party products. Join us as we discuss how to deliver e-commerce solutions which utilise a best practice approach to meeting the needs of the business and end customer. We’ll discuss important topics such as security, compliance, scaling and de-coupling services to meet demand, product discovery and recommendation, marketing, and building a truly global presence on top of Amazon Web Services. 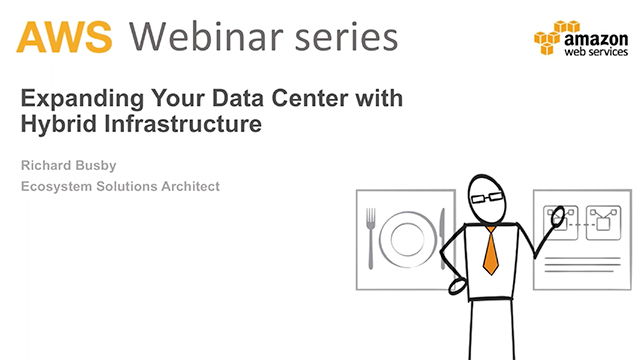 Register for this webinar to find out more. 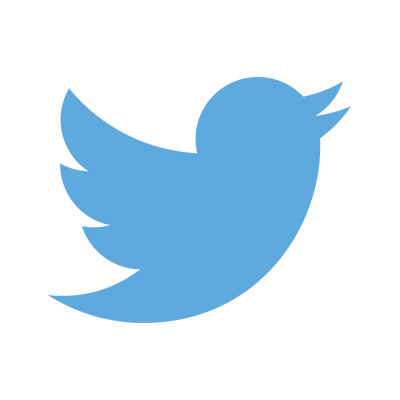 Have suggestions for the ANZ webinar team?